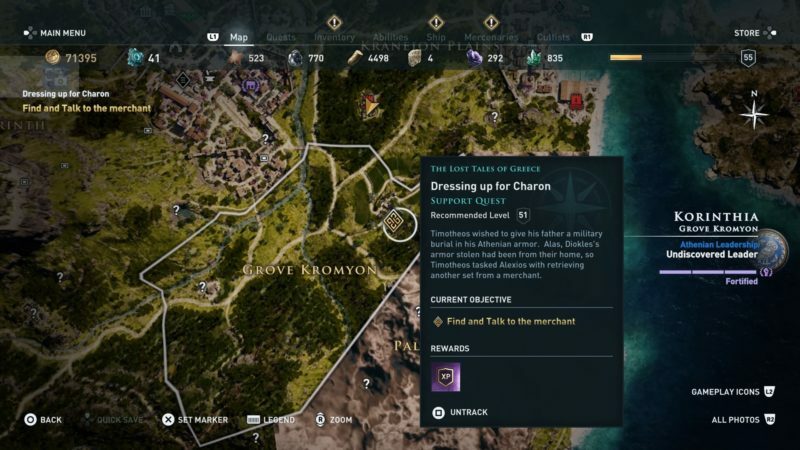 Dressing Up For Charon is a quest in Assassin’s Creed Odyssey under The Lost Tales of Greece. 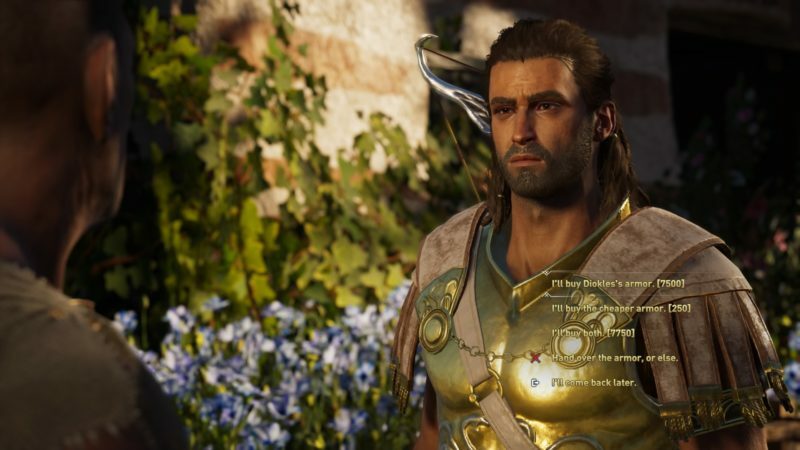 Your task is to talk to a merchant to buy an Athenian armor for Timotheos’ father’s funeral. 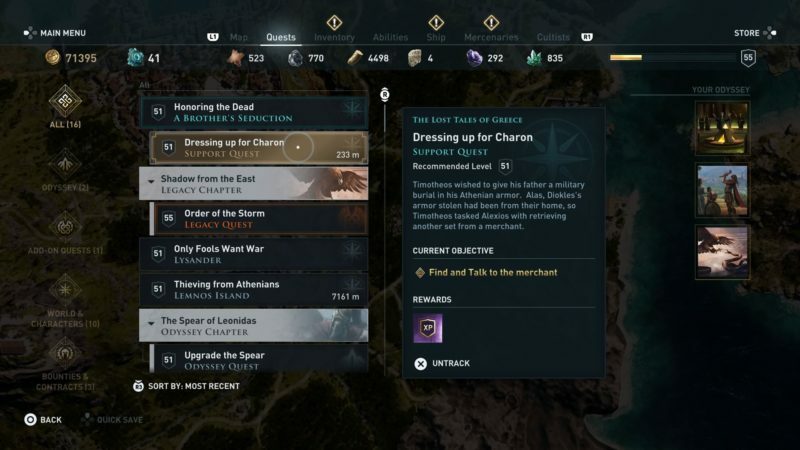 Here’s a walkthrough of Dressing Up For Charon in AC Odyssey. The main objective is to look for the merchant and talk to him. You can find him in the exact location shown in the map below, marked as the quest symbol. It’s in Grove Kromyon of Korinthia. You should see the merchant standing in front of a house. Talk to him. 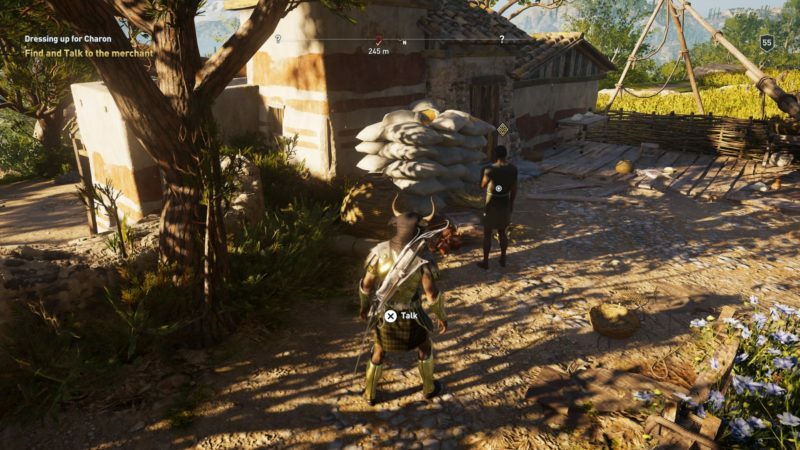 You then have an option to either buy Diokles’ armor for 7,500, the cheaper armor for 250, both, or force him to give the armor. 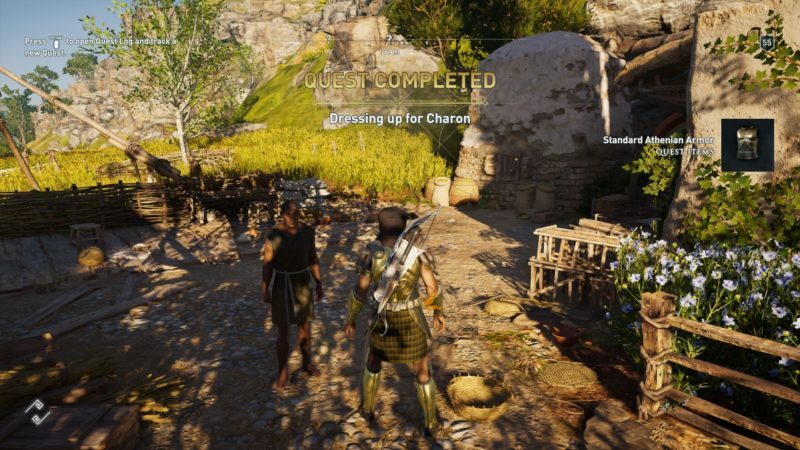 I personally chose to buy the cheaper armor for 250 drachmae. It turns out to be good enough for the funeral (in a later quest). This quest Dressing up for Charon completes here. You will get the Armor as a quest item.